Franchisee Members - Franchisees who operate one or more KFC restaurants within the geographical boundaries of the region. Membership dues are $185 for the first KFC you own and $35 for each additional KFC owned in the region. Associate Members - KFC franchisees who operate KFC restaurants within other regions, and are members in good standing of their own regional Association, as well as participating in activities with the Southeastern KFC Franchisee Association. Dues are $25 per year. Institutional Members - Suppliers of services and products for KFC restaurants. Dues are $300 per year. Special Members - Those KFC franchisees who have been named Special Members by the Board of Directors and General Membership based on past service and contributions to the Southeastern KFC Franchisee Association members. Many special members, though retired, still participate in activities with the Southeast group. Dues for this type of membership are $100 per year. Southeastern KFC Franchisee Association, Inc. operates on a fiscal year from June 1 to May 31. Dues are not pro-rated. Membership in the Southeast Region automatically guarantees membership in the AKFCF organization. Each member receives registration notification for upcoming seminars and related mailings or e-mails throughout the year. Each is invited to attend any scheduled meetings (unless open to franchisees only) of the Southeastern KFC Franchisee Association, subject to applicable registration fees for that meeting. 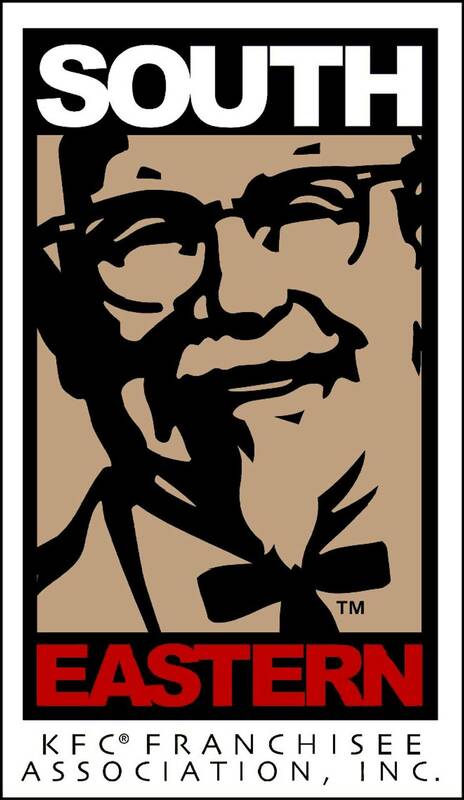 To receive more information on becoming a Southeastern KFC Member, please click here.